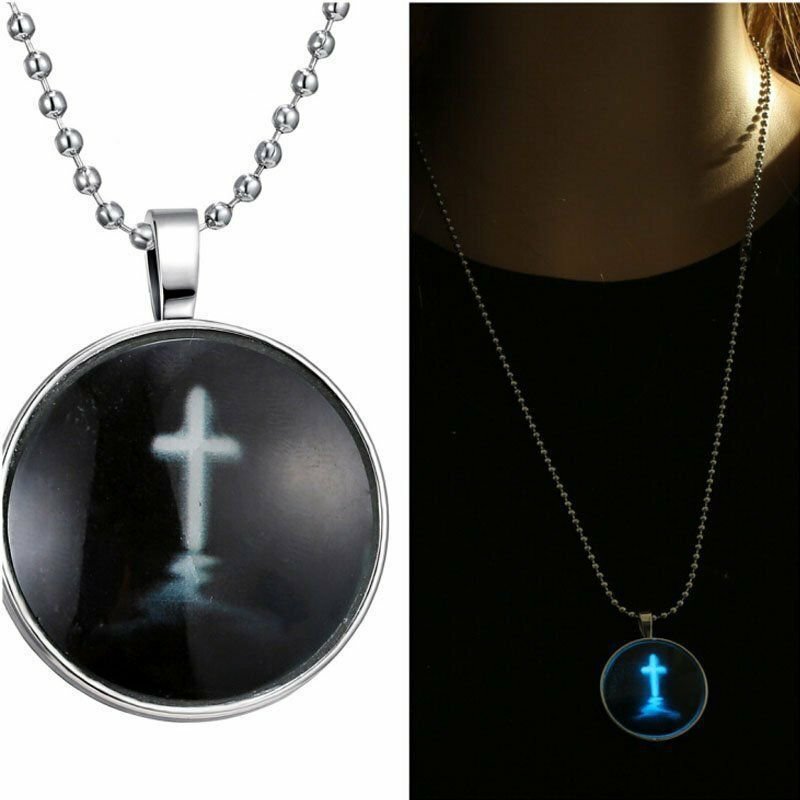 Sacred Jesus Cross Stainless Steel Chain Glow In The Dark Pendant Necklace Gift Condition:100% brand new and high qualityMaterial: stainless steel, glass cabochon, alloyColor: Same as pictureNecklace Length: 60cm(23.6")Chain type: Ball chainChain color: silverPendant size: 3.3cmx3.3cmPendant style: Glow in the dark*requires sunlight to charge to be glow in the dark"Quantity: 1x glow in the dark cross necklaceShip from USA Shipping: Ship from USAFast and free shipping with USPSItems will ship out within 24 hours after you make the payment30 days money back, buyer pays return shippingGreat customer services and good communicationFor international Buyer:Due to high postage for international shipping, there will be shipping Cost varies by buyer locationBuyer are responsible for any custom clearance and any import dutyThe shipping time might take 15-30 business day depend on where you livePayment:Accept PayPal, Credit card, debit card, BankFeedbackPlease give us the opportunity to resolve any problem before leaving negative feedback or open a case. If you are satisfied with my products and services, please leave me a positive feedback with all high stars. Thank you!Contact us If you have any questions, feel free to contact me anytime and I will respond back as soon as possible.